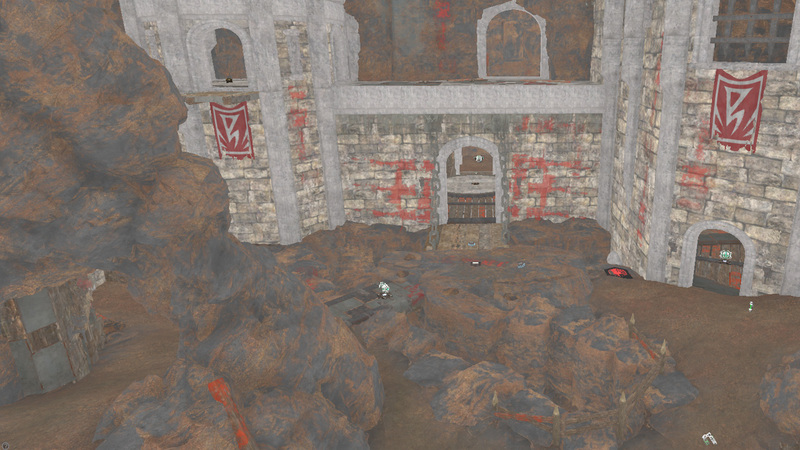 CTF-Eruption is a Capture the Flag level for Unreal Tournament 4. 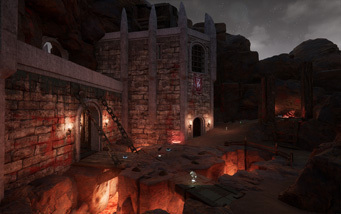 It was made in the Unreal Tournament 4 editor using assets included in the game. 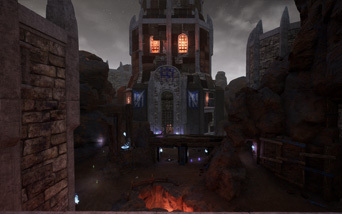 My main goal with this project was to create a fully functional Unreal Tournament 4 level in 3 weeks of development time. This would include bot support, good visuals, sound effects, visually pleasing and coherent lighting, a good and well balanced layout with well thought out pickup placement and proper collisions. Due to the limited time I didn't make an elaborate topdown of the layout. Instead I drew certain segments of the level on paper, such as the flag base and the middle area. This would shorten the development time slightly. 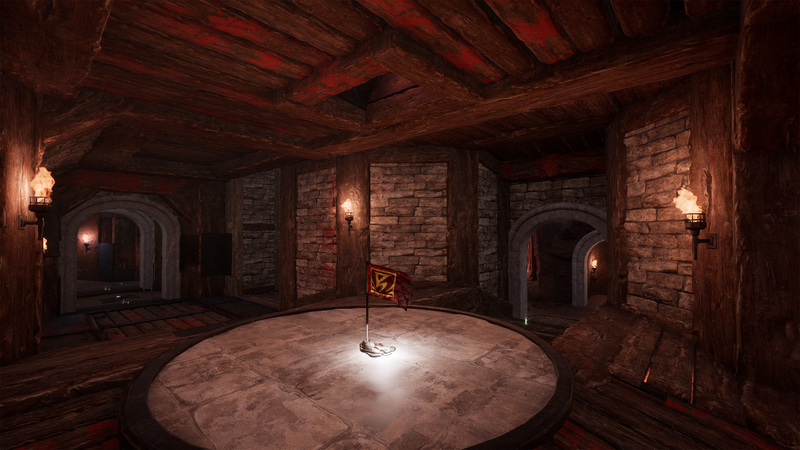 The first week of development was spent on translating a quick sketch of the flagbase from paper to the editor. While also testing to see how I could use the available content to mesh out the level. 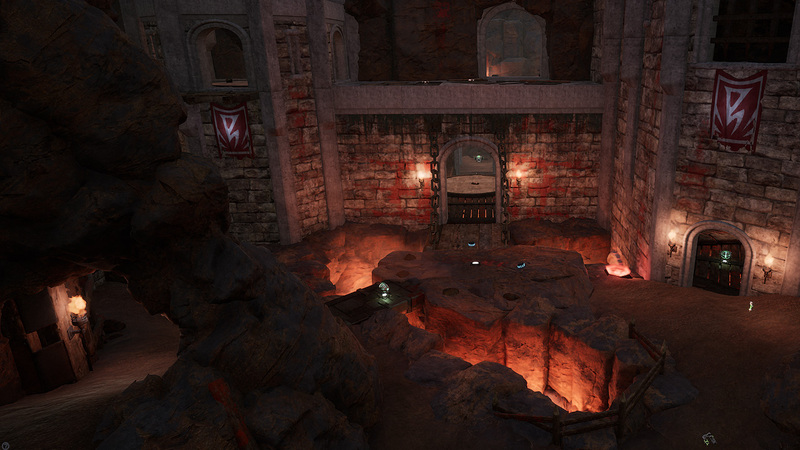 The second week was spent on meshing out the remainder of the level and testing to see if the scaling was spot on. I also spent time placing pickups like weapons and health. My goal to start the third week of development was to have all gameplay elements in a good state so that I could begin working on the details. As I knew beforehand that these would be quite time consuming. This is where I ran into some issues. I found out that the lighting builds had a big impact on my computer, enough so that I would have to do this from home just before I went to bed. In doing so the lighting builds would be completed in the morning and would not impact my timeframe. 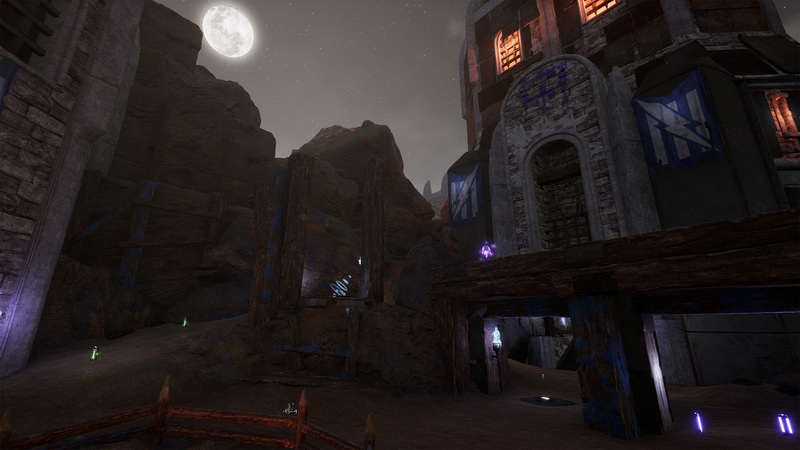 I also had to catch up with some tutorials on how to implement bot support in my level since it had gotten a complete overhaul since Unreal Tournament 3. One of the biggest challenges was to make sure that everything had proper collisions. While testing I quickly realized that a large part of the assets I used didn't have a collision model at all. 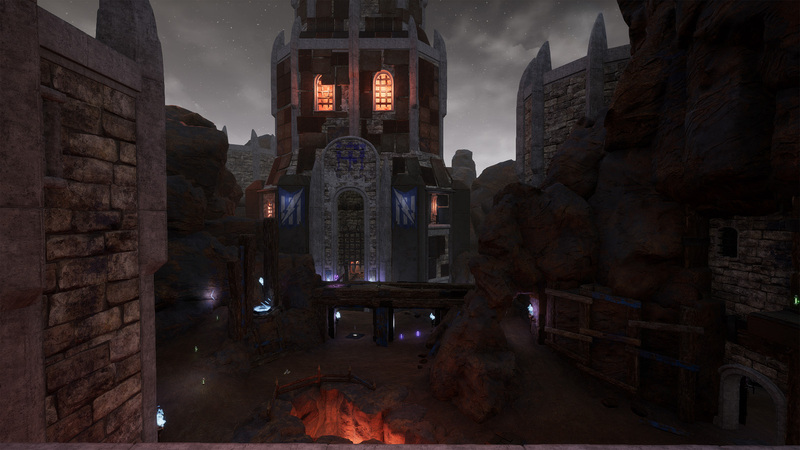 Thankfully I had gotten good at creating blocking volumes while designing levels for Unreal Tournament 3 and was able to finish this in time before the deadline. I also had to place blocking volumes on the outer edges of the playable area to prevent players from going outside the level. The last few days where spent on playtesting the level with real players and with bots. The feedback I got helped me tweak the pickup placements to improve the gameplay substantially. Click image to see before and after screenshots. Lighting can make or break a level. As demonstrated in my before and after images above. 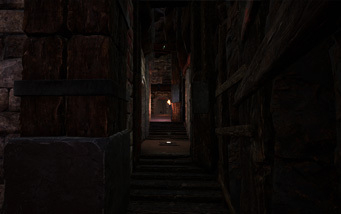 Proper lighting will not only make the level visually pleasing but will also guide players around. 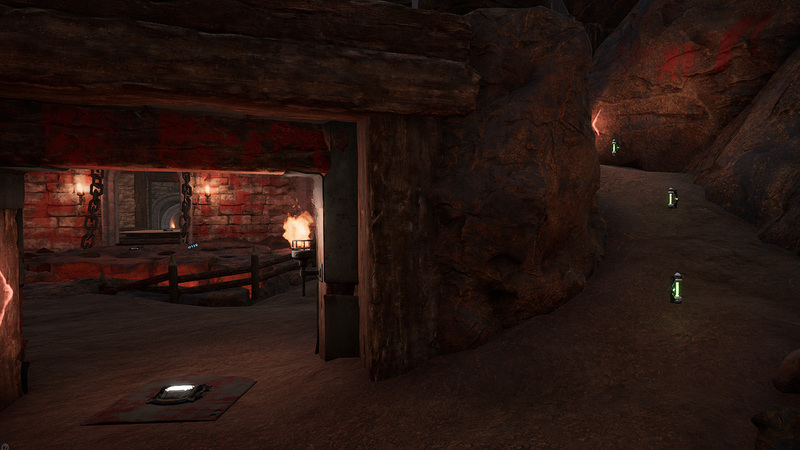 The lava placed just outside the flag base helps make the gameplay more interesting. However since the lava itself is not actually visible unless you look directly down. 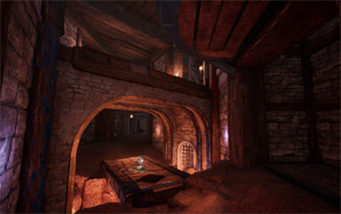 Lighting and particle effects will visualize the danger here. 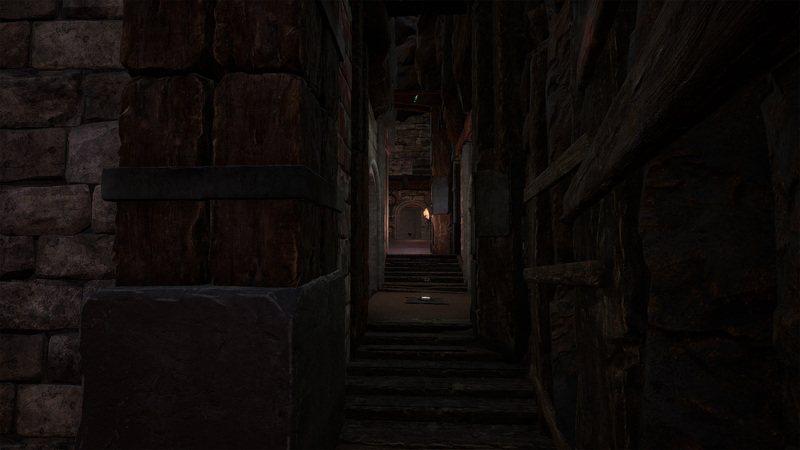 The light sources placed around the level are in most cases there to reveal entrences and paths. 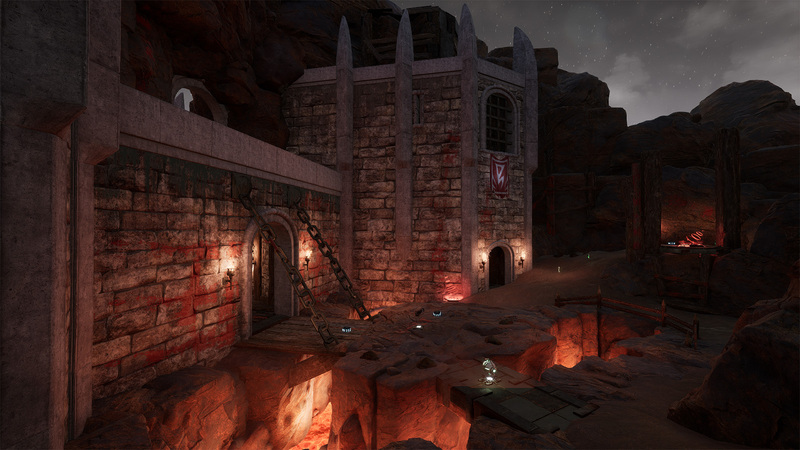 Game - Unreal Tournament 4. Game type - Capture the Flag. Recommended Player count - 8-12 players. Custom Content - lava material, moon material. All other content was found within the game and is made by Epic Games. 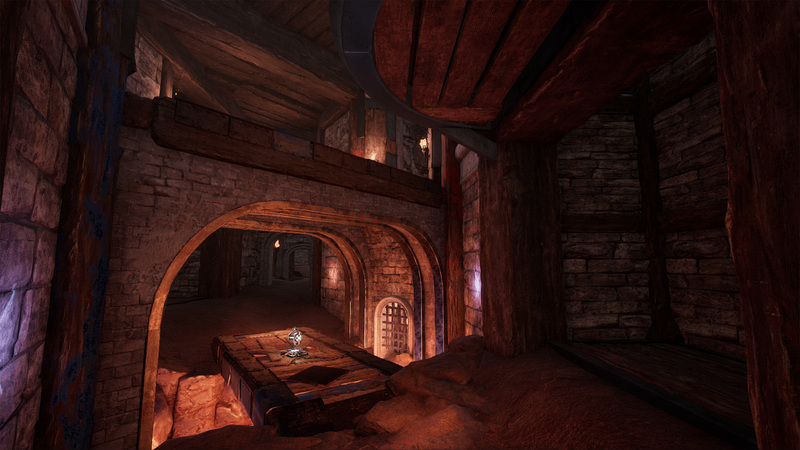 Applications used - this level was made in the Unreal Tournament 4 editor. Also made a few custom textures I needed for the level in Adobe Photoshop. This is an original layout made by me. The sides of the level are mirrored versions of each other connected by a middle part which serves as a choke point where a lot of the action will take place. The flag bases can be accessed from 5 different entries in order to limit the defenders ability to defend the flag. From there the flag carrier has a few different paths available to them but only 2 paths trough the middle area; one faster riskier path and one longer safer path. 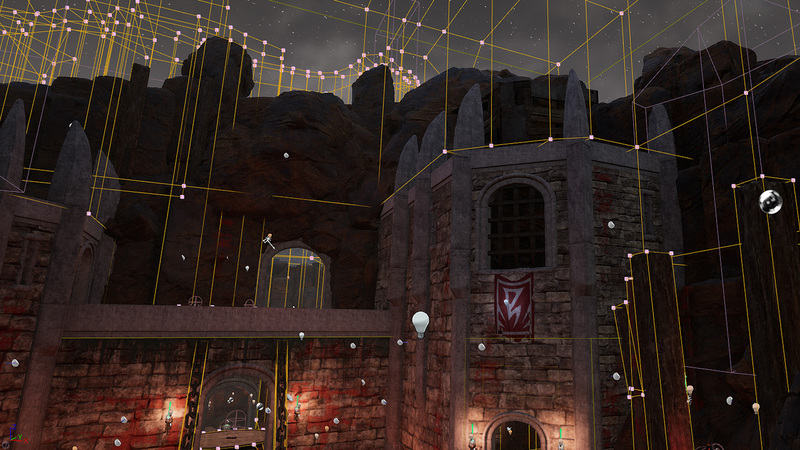 An important part of Unreal Tournament 4 gameplay is z-axis gameplay. I incorporated this into the level by making is in a few different levels where players could attack from above. To balance the levels I placed weapons accordingly (keeping the more powerful weapons and most of the health/armor pickups on the lower levels). To help distinguish the bases from each other and also guiding players to the flag bases I used team colored decals, materials, arrows and team colored torch emitters. Blocking volumes are especially important in Capture the Flag levels. If blocking volumes are not properly placed, players will often be able to access parts of the level you might not want them to. Such as roofs and top parts of the rocks. I have placed blocking volumes in a way that will prevent players from teleporting to areas above the level. Click image to see it with and without decals. 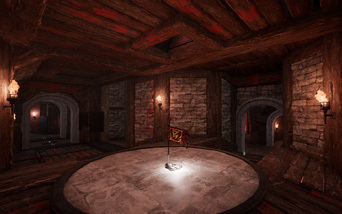 Decals is a great way to further decorate a level and help guide players to the flag bases. It is also very cheap when it comes to performance. As seen in the screenshot above I have used team colored arrow decals with an emissive material to show directions towards the red base. There are also some decorative decals placed all around the level.